I’ve been working on a couple of other things this week as well. The main thing is getting back to some 3D modeling. 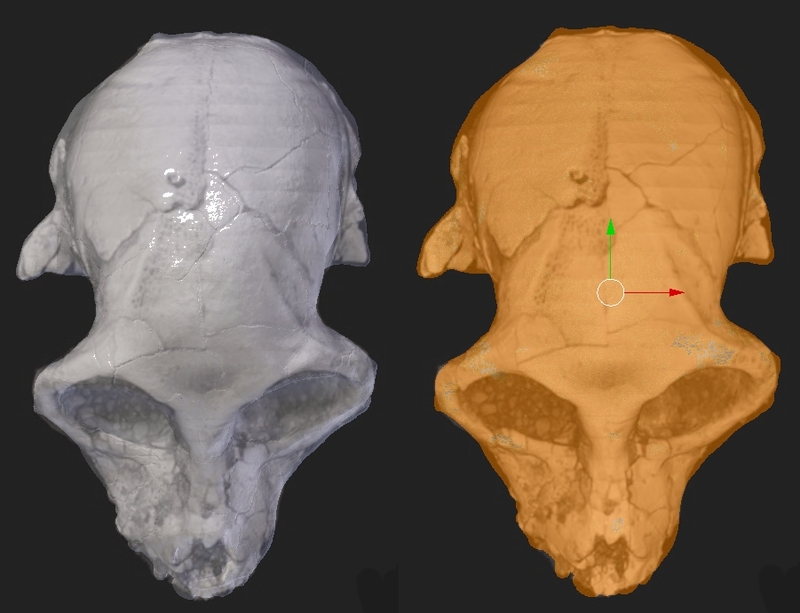 This time, modeling the cranium of Aegyptopithecus zeuxis. You can view the 3D model on Sketchfab. The above model was modeled in Blender, a free and open source 3D modeling program (actually, it does much, much more!). This model was created with reference images from the original PNAS article about the specimen. As such, this model was ‘created by hand’ and not with any sort of 3D scanning or photogrammetry software. Pretty cool! Using Blender to sculpt a cranium based on reference images. Look ma, no scanning! Like the looks of the model? Why not buy one for yourself, a friend, significant other, or stranger on the street? You can, you know? It’s available for purchase from Shapeways. The 3D model isn’t good enough for taking scientific measurements, but it would certainly serve well to illustrate anatomy.